Aloha! 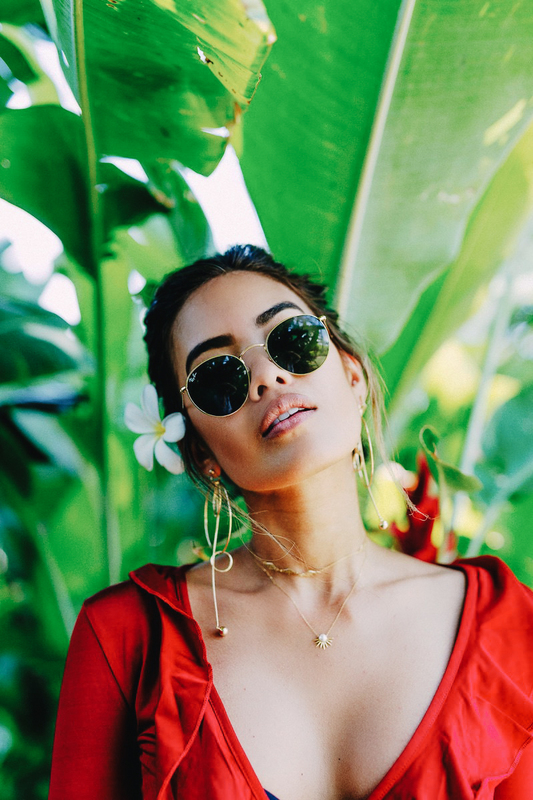 Last month I was lucky enough to be invited by Bollare to visit a little place called… HAWAII! Maybe you’ve heard of it? I kid, I kid. It had been many years since I set foot on Hawaiian soil. What better way to revisit the beautiful Aloha State than by staying at the Four Seasons Hualalai! The moment I walked into my ocean front room my jaw dropped. I could have literally just spent the whole trip in there and would have been plenty content. The view was insane, the bed was built for a queen (seriously though I need comforter and sheet deets asap), and the warmest welcome of fruits and gifts were laid out for me. WAY too spoiled! That night our group gathered for a welcome dinner under the stars and alongside waves crashing just a few steps away. That’s probably my favorite thing about the Four Seasons Hualalai- almost everywhere on the property guarantees a gorgeous ocean view. WHEN IN HAWAII! I realized very quickly that I was very much still on California time. Every morning thereafter I was up at 5:30am. Now here’s the thing…I am far from a morning person. But I obviously took advantage of Hawaii Jill and enjoyed walking around the property before most people were awake. The Four Seasons Hualalai has three pools. My favorite being the “adult pool.” It's peaceful, quiet, and has a pool bar. Are you ready to buy a plane ticket yet? Me and my girl Francis had the best time hanging out there after our day of boating- sipped on drinks until the sun set and the rain rolled through. It was perfect. Speaking of our boating day- can’t forget to mention that fun excursion! We were lucky enough that a massive amount of dolphins found us to be quite amusing so much so that they basically followed us around for half our ride! I even jumped in to swim with them for a bit. 1. You'll never walk past a member of the staff without receiving a warm "Aloha" accompanied with a smile. 2. The food at each restaurant is beyond drool worthy. 3. The accommodations and views are unlike anywhere else. I can't say thank you enough to Four Seasons Hualalai and Bollare for hosting my stay and absolutely going above and beyond. Very humbled by the kindness and experience. OMG. I want to visit even more! It's always been a dream of mine. You also look so beautiful here - gorgeous photos! Love the dress and swimsuit so much! So beautiful!